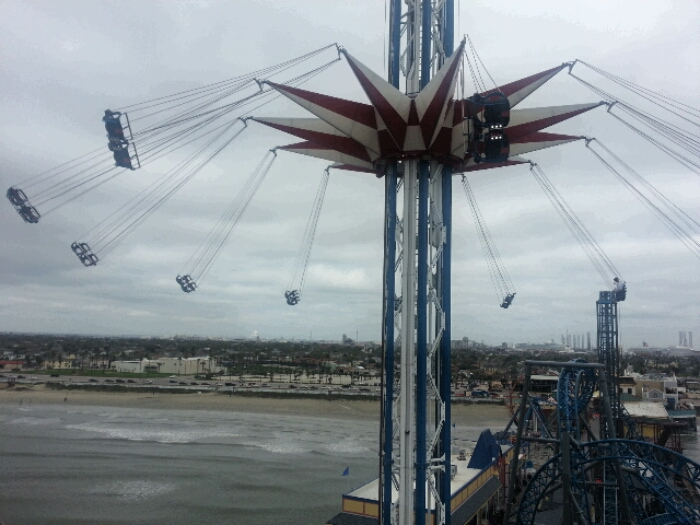 This entry was posted in Recent Posts and tagged Amusement Rides, Beach, Entertainment, Galveston, Gulf of Mexico, Music, Ocean, Photography, Pleasure Pier, Poetry, Travel. Bookmark the permalink. Blushing from the inside out ~ yes, that is the way it should be. Seuss is great, and this poem really made me smile as it took me back to those great days of reading and re-reading his books 🙂 Cheers Aud! Nice. I almost had the urp factor going on. Haha! That looks cool. Was anyone on the swingy things? I think I’d get on, you know. That would be me! Well, not in the pictures but I did ride them. A lot. I told you I flew recently! I had a feeling you could handle this ride. It is way high, you know. High! Yes, I’d do it. It’d be fun. Were you taking pictures while flying? One day we’ll ride them together. It is crazy high. No, I wasn’t taking pictures. Too fast. 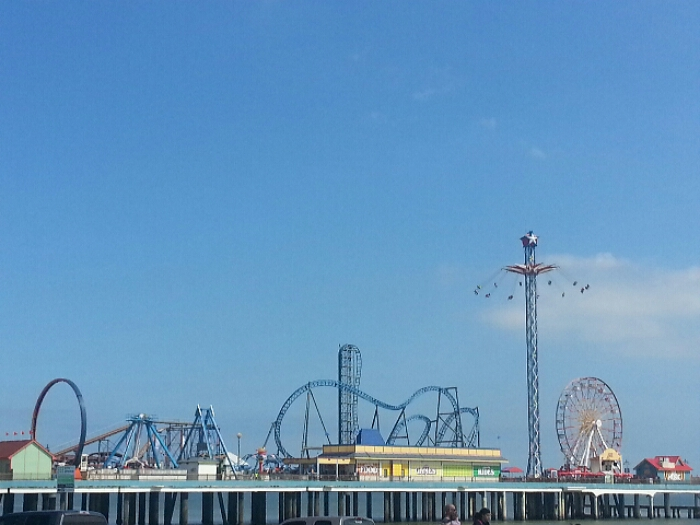 I took these from the lame little ferris wheel next to it. Giggle. It actually scared me. That one is too slow and rocks a lot. *laughs* But that’s the fun of rides! They’re a bit scary. We should ride it! Would be lots of fun. Yes, I agree. The first time I rode it I told Mr. Warrior to relax and that it would get a little higher…a little faster…and swing us out a bit more…and he was like…umm, you gonna talk me through this whole ride? Lol…I told him it was for me more than him. He loves the rides too. I agree. I wouldn’t let you cry. *laughing lots and lots and lots* That’s so funny! I’d just sit there and sing. *laughs again* I had to laugh at myself. I was trying to be a good protector, but I realized I wasn’t just thinking it. It was saying it, too! Your singing would have helped. What would you sing? I laughed a lot. Not gonna lie and it helped. I’d laugh, too. That always happens to me when I’m getting tortured on a ride. What would I sing…Can’t Take My Eyes Off You! Tortured? It is a bit like that, I agree. *sigh* What a great song. Sing it now, please. So you do know that one! Goes back before Glen, you know. Yes, I’ve heard romantic men sing that song before. But not as far back as you go…or further back than you go, actually. Tis a lovely song choice. I don’t mind heights so much, but I don’t want to be slung around in a circle!! Glad you enjoyed this one — thanks for NOT offering to take me along. I’ll just try to enjoy it through your eyes, ‘k?!! I really like this. The photos draw you in and you worked with the really well. Thanks, Dan. I tried a few different angles for these photos. Glad this poem suits. I wasn’t entirely confident. Enjoy your Friday. Love the poem!!! Who in their right mind would go on that thing that flings you about? That just doesn’t look like a sensible thing to do. PS: Is that in New Jersey? Thank you, Ma’am. 🙂 Umm, well…I rode it. At least five times in four hours. I seriously saw the curve of the earth from that height!! 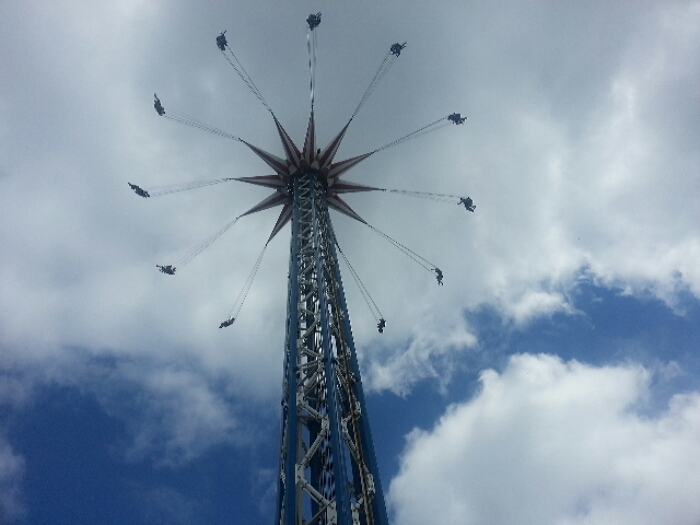 Tallest ride I’ve ever been on. Incredible! Giggle. 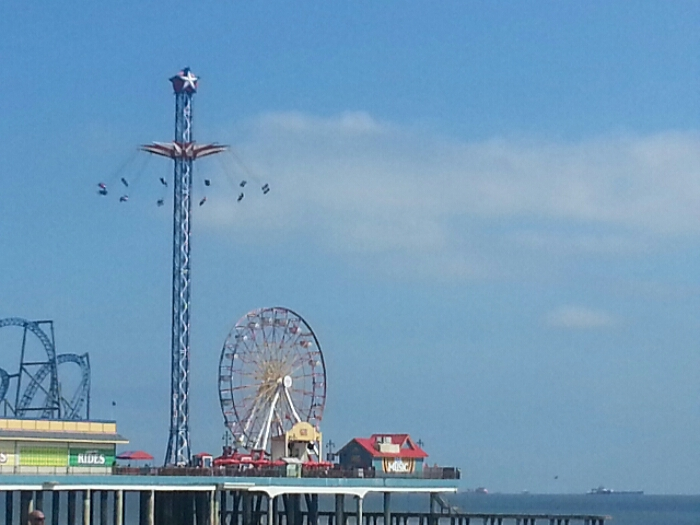 Oh, Galveston – nice place. Ooo – I don’t think I could do that. The Scooby Doo roller coaster for the little kids made me feel kind of sick. Can’t imagine going on that!! !